The Club meets on the first Thursday of the month from March – November. Meetings in March, April, October and December are held at 7.30 pm in the Village Hall. 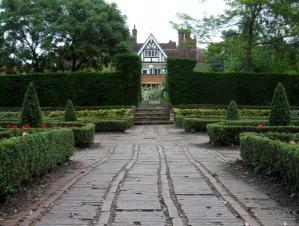 During the summer months meetings take the form of visits to local gardens of interest. Members of the Flower and Garden Club continue to provide flowers in St Andrew's Church on a weekly basis, as well as for festivals such as Easter and Harvest. They also help with decorations for the Christmas Tree Festival. Visitors welcome at all meetings. The summer garden visiting season kicked off in May, with a visit to White House Farm in Ingarsby, which was so popular that the owners, Richard and Pam Smith, had to fit extra chairs into their kitchen in order to accommodate us all for their delicious tea, coffee and cakes. We enjoyed the visit to their beautiful and extensive garden too! Our June meeting was at Mon Amie's new headquarters, The Barn, in Kibworth. Louise demonstrated some beautiful arrangements with paeonies, which were raffled at the end of the meeting. July's visit was to a private garden in Woodhouse Eaves, and was a popular outing, whilst the planned afternoon visit to Kelmarsh Hall, did not really take off. Then in September, despite pouring rain for most of the day, dozen or so brave souls went to The Wooden Owl in Clipston, a new garden in the process of being created by its plantswoman owner. A social evening in October with a quiz and a plant identification table, plus plants and produce from members' gardens only attracted a dozen people, but a good time was had by all. Judy Rollin very kindly organised a flower arranging workshop in the spring, which attracted several new members who subsequently joined the Village Show committee and have volunteered help with church flowers and the forthcoming Christmas Tree Festival. 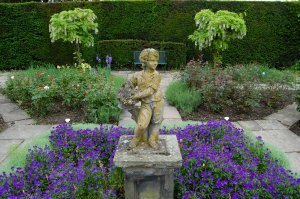 The November meeting, when garden designer Sue Blaxland was due to talk to us about Walled Gardens in Leicestershire and Rutland, has had to be cancelled, as the Village Hall will be closed for repairs and redecoration. Sue has kindly agreed to postpone her talk until the April 2018 meeting. Visitors are welcome to join our outings, or to attend events in the Village Hall. Contact Joan Stephens, 259 2210, joanscribble@yahoo.co.uk for programme details.